Self Help Goddess Blog: A Self-Love Exercise - super powerful! Welcome to my blog! 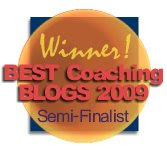 Please be sure to also stop by my main site, www.selfhelpgoddess.com! A Self-Love Exercise - super powerful! I first learned about this exercise last year when I was attending Jack Canfield’s Breakthrough to Success conference in Scotsdale, Arizona. Most of you will be familiar with Jack Canfield as one of the co-creators of the mega-popular Chicken Soup for the Soul series. Jack is phenomenal, and if you ever have the chance to see him speak live or present at a conference, I highly urge you to take that opportunity! Jack taught the following self-love exercise, and does it himself on a daily basis. This was the one piece of homework we absolutely had to do every single night of the conference. I figured if someone as successful as Jack Canfield does this every day, then I should do it too! I’ve since seen variations of this exercise in several popular self help books, including Louise Hay’s You Can Heal Your Life. The exercise is called The Mirror Exercise, and you’ll understand why. Every night before you go to bed, preferably after you’ve washed your face, brushed your teeth, put on your pj’s, etc., find a mirror in your home that you can stand in front of undisturbed for a few minutes. If you’re married or have a roommate, you’ll want to ask them to give you a few minutes to yourself because you should do this exercise alone to get maximum results. So find a mirror, either in your bathroom or bedroom, and stand in front of it by yourself. After you’ve really looked at yourself for a few seconds, say out loud to yourself “I love you” and then your full name. So for me I would say, “I love you, Mary Knebel.” Again, you are saying this out loud, and this may bring up uncomfortable feelings. Do your best to just stick with any feelings that come up, whether positive or negative. They are just feelings and you can accept them and allow them to be. Then you want to reflect over your day, and think of things that you are proud of yourself for accomplishing. These can be big or small things, but aim to find 5-10 things that you did during the day that you can appreciate yourself for. Here are some examples, “I’m so proud of you for eating a healthy dinner.” “I’m so proud of you for finishing the memo you said you would finish.” “I’m so proud of you for reading the kids a bedtime story before bed.” You get the idea! The idea is to acknowledge and appreciate yourself for things you achieved during the day. Again, aim for 5-10 things and remember you are saying these things out loud to yourself! While continuing to look at yourself in the mirror, flow love and compassion towards yourself as best as you can. Now you want to find things that you love about yourself and acknowledge those qualities. For example, “I love that you have such pretty eyes.” “I love that you are such a loyal friend.” “I love how creative you are.” “I love how toned your arms are.” You can focus on things you love about yourself that are either physical characteristics or that have more to do with who you are as a person. The key is to find things about yourself that you can truly love and appreciate and acknowledge yourself for. Finally, to finish this exercise, look yourself deeply in your eyes for a few more seconds and then say out loud one last time, “I love you” and then your name. So for me it would be, “I love you, Mary Knebel.” Really be with any feelings that come up, whether positive or negative, and just allow them to be there. Loving yourself means loving ALL of you, feelings and all. And that’s it! As I mentioned above, this will probably feel uncomfortable or even awkward the first few times you do this. However, I guarantee you that this is normal and that you will get over it if you keep practicing! Here’s the catch: You should do this for 40 days straight, without skipping a day. If you skip a day, start over from Day One and do the 40 days all over again! After 40 continual days this will become a habit in your subconscious mind, and you will notice how much better you feel about yourself and how much more comfortable you are in your skin. The world will seem to become a much more loving and accepting place towards you, but in fact it’s your thinking that has changed the world around you. Remember, your thoughts become your reality… so the more loving thoughts you have within, the more loving the outside world will be towards you. Give this exercise a shot, and let me know how it went in the comments below! 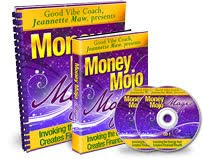 If you're interested in learning more about the subject of self-love, I highly recommend the new Art of Self-Love product by master law of attraction coach, Jeannette Maw (known as the Good Vibe Coach). She has created an ebook, audios, and an accompanying workbook, which will truly get you to understand why it's so important to love yourself and how to do it, with simple yet powerful exercises like the one above. I was fortunate enough to read a preview copy of Jeannette's ebook, and it is fantastic! Not only does she teach you what it means to love yourself, but because she is a law of attraction coach she also explains how crucial self-love is in manifesting your desires. I mention Jeannette several times on my website, because I have been following her for years and truly believe in all her teachings and products. If you are serious about increasing your self-love, you’ll definitely want to grab your own copy of this product. To learn more, go here. To see my own personal MindMovie, go here. 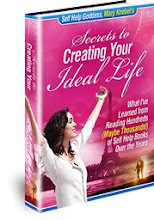 I love tracking down the best self help books and resources to help others create their ideal lives.